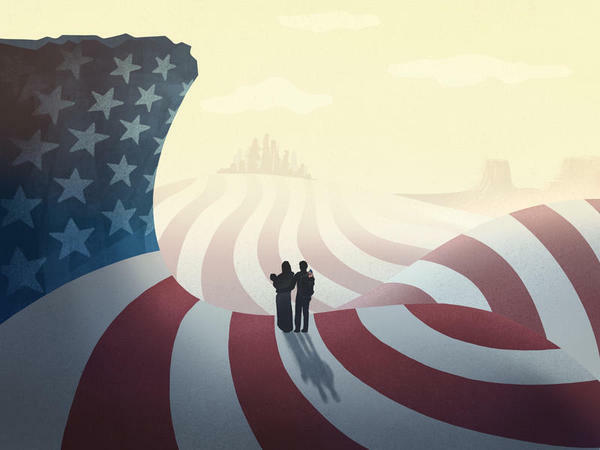 Unauthorized immigrants in rural areas who seek legal representation face multiple roadblocks. Chad Davis of St. Louis Public Radio found getting legal help can be challenging for immigrants and migrant workers. Gomez, the family services coordinator for Su Casa Head Start in Cobden, Illinois, emigrated from Mexico in the 1960s and became a naturalized U.S. citizen. She said migrant farmworkers and unauthorized immigrants who are seeking legal representation don’t have lawyers readily available in their communities or those lawyers don’t speak Spanish. And traveling to larger cities to obtain legal services isn’t always feasible for several reasons — it’s too costly or might put someone at risk of deportation. Cobden, Illinois, is about 15 miles south of Carbondale, home of Southern Illinois University. A large portion of the town’s revenue comes from the many orchards and farms in the surrounding areas. The majority of the ag workers aren’t from here; a 2010 U.S. Census Bureau report shows that 28.6 percent of the population is of Mexican descent. If the farmworkers have a legal work permit, such as a federal H-2A visa, then they cannot be deported, Gomez said. But she noted that for those who don’t have one but are seeking legal status, they need to find a credible lawyer to avoid potential deportation. The American Immigration Lawyers Association is made up of lawyers and professors who teach and practice immigration. About 100 AILA lawyers have Missouri addresses, but the majority of those lawyers are located in St. Louis and Kansas City, hours away from the southern Missouri and Illinois farms and orchards where immigrants and migrants work. Chicago is about 350 miles from Cobden. St. Louis is less than 120 miles away, making it a more realistic destination for the immigrants and migrant workers who need lawyers. But that’s still a long trip for people in southern Missouri and Illinois. Ken Schmitt, an immigration lawyer in St. Louis who is an AILA member and founder of U.S. Legal Solutions, said the drive to urban areas can be a significant risk — even for immigrants who are here legally for work. Distance from rural clients and increasing demand for urban clients can be deter lawyers from rural immigration work, too. Immigration lawyers have seen an increase in a particular kind of scam affecting people seeking legal services: notario fraud. That occurs when a notary claims to have the same standing and expertise as a lawyer. “In the United States, a notary public is just authorized to notarize your signature,” said Jennifer Ibañez Whitlock, a St. Louis-based immigration lawyer and partner at law firm Whitlock and Gray. “In Latin America, a notario publico has the same rights and responsibilities as an attorney does. Entanglement with a notario intent on fraud can man significant consequences for a person seeking legal status. Notario fraud can even lead to the deportation of immigrants. St. Louis Public Radio asked the Missouri Attorney General’s Office for data on how many notario fraud cases exist in Missouri. It responded that it had "no records responsive to your request." Ibañez Whitlock said that while lawyers practicing immigration aren’t required to be a member of AILA, membership guarantees the individual has a license to practice law. Membership in a local bar association is another positive indicator. “If you're not an English speaker or if you're not really internet-savvy, I tell people when you go into an office, look on the wall. Does the person have something up on the wall that looks like a law degree … maybe that will give you the sense that this person is a real lawyer and that they're not pretending to be a lawyer,” Ibañez Whitlock said.